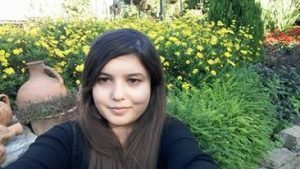 Nurana Musazade holds a BA and MA in English Linguistics and works as a journalist since 2015. She has covered topics on discrimination against ethnic minorities living in Georgia for different Georgian websites since 2016. Moreover, she has collaborated with different local and international media outlets. She is interested in political and social issues such as human rights, civic diplomacy, women activism. As a journalist and project manager for the Azerbaijani independent media platform Hamam Times Nurana is very passionate to learn more about political education on digital platforms.